Detroit is trying again to craft a city ordinance to regulate its burgeoning marijuana industry. The city’s 2016 ordinance was affected by a pair of ballot initiatives that passed last November. 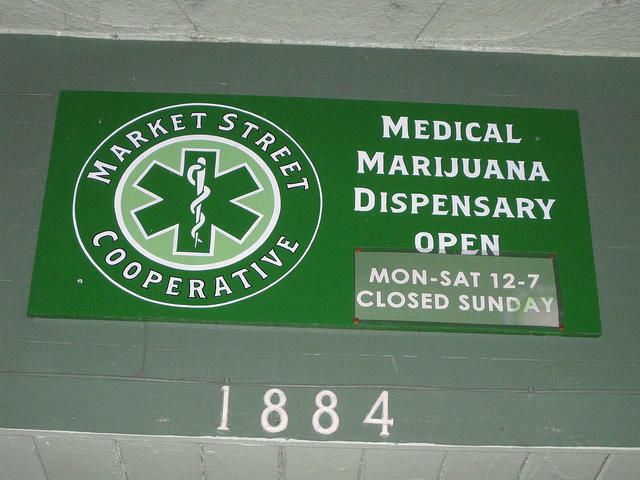 They opted the city into state rules on medical marijuana facilities, and initially invalidated some zoning restrictions the city had set up to regulate where dispensaries could operate. A judge later overturned portions of the ballot measures dealing with zoning, freeing the city to set up and enforce a local zoning scheme. This new proposal takes into account all of these changes, and sets fair standards for state-permitted marijuana operations to operate in the city, according to the ordinance’s chief sponsor, Detroit City Council member James Tate. “Approving this ordinance would finally bring some closure to this issue and chart the path to the future of this industry in the city of Detroit and the state of Michigan,” Tate said in a statement released by the city. The ordinance also sets up new rules and local permitting requirements for four new types of marijuana operations allowed under state rules: growing, testing, transporting, and processing operations. Tate says the goal is to have a good mix of all of them. “The concern we have is that we didn’t want to put ourselves in a situation where, because this industry is so lucrative, all of our potential warehousing and manufacturing locations, where we could potentially have thousands of employees being hired, that those locations aren’t being overrun by potential grow facilities,” he said. The proposed ordinance also includes language that would invite owners of marijuana facilities to outline potential “community benefits.” Though it’s not mandatory, outlining those benefits would “definitely assist” in the permitting process, Tate said. The ordinance was scheduled for a public hearing Thursday, before it starts the legislative process to gain City Council approval. Tate admits it’s difficult to craft marijuana legislation when the industry and larger state and federal regulations are so “fluid.” But he’s convinced this proposal can survive any such changes, including a statewide vote to legalize recreational marijuana this November. “I believe that we have an ordinance that will be able to withstand any challenge based upon the state law changing as well, with recreational marijuana,” Tate said. And despite opposition from some marijuana industry groups that Detroit’s permitting process is too strict and "punitive," Tate thinks this ordinance can survive the legislative process largely intact. “It’s not offensive, it doesn’t shift too much to one side, but most importantly it works toward preserving the integrity of our neighborhoods,” he said. 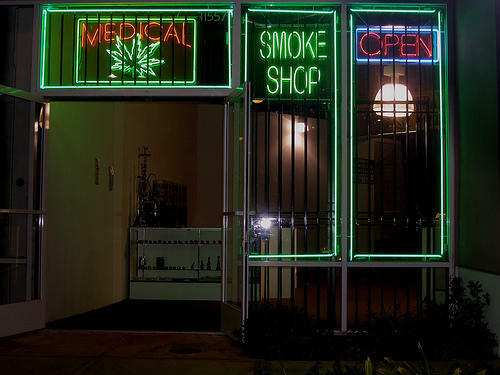 Detroit has shut down dozens of medical marijuana dispensaries deemed to be operating illegally. The city says the new proposal should not affect the 57 dispensaries currently operating with temporary approvals from the city and state. The legal confusion surrounding medical marijuana in Detroit has grown even more confusing with a judge’s surprise ruling last week. Detroit voters passed two ballot proposals that laid out new rules governing how and where medical marijuana is permitted, transported, and sold in the city. It effectively overturned parts of an existing city ordinance that restricted where dispensaries could locate.